Described by Singer Magazine as "a must add to any music connoisseur's collection," John Margolis: Christine's Refrigerator -- co-written and co-produced by Don Rosler, received critical attention, JP Folks Awards and considerable airplay across the country. The title track was featured on a "KItchen Stories" report (NPR's "Morning Edition") and on their audio-book, "Hidden Kitchens." Another track from this CD, "Tanta Belleza -- So Much Beauty" was prominently featured in the HBO film, The Kidnapping of Ingrid Betancourt. 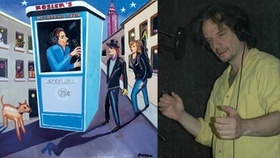 Rosler's Recording Booth, a unique concept CD, written and produced by critically acclaimed songwriter Don Rosler, garnered national attention weeks before its official release date, thanks to the single "Doris from Rego Park" generating buzz on WNYC, WFAN and in Ken Plutnicki's article, "Doris From Rego Park Lives On In Song" in The New York Times. "Doris From Rego Park," performed by Don Rosler, is one of sixteen contemporary songs on Rosler's Recording Booth, featuring ten fantastical artists: Spottiswoode, Jeremy Sisto, Isabel Keating, Terry Radigan, John Margolis, Kathena Bryant (of The Hippy Nuts), Tam Lin, Jon Albrink, Tamara Hey and Don Rosler. 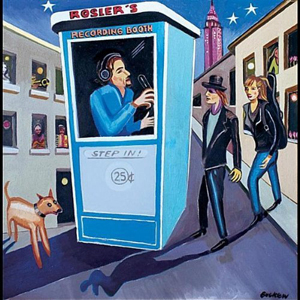 Rosler's Recording Booth, a unique concept CD, written and produced by critically acclaimed songwriter Don Rosler, garnered national attention weeks before its official release date, thanks to the single "Doris from Rego Park" generating buzz on WNYC, WFAN and in Ken Plutnicki's article, "Doris From Rego Park Lives On In Song" in The New York Times. "Doris From Rego Park," performed by Don Rosler, is one of sixteen contemporary songs on Rosler's Recording Booth, featuring ten fantastical artists: Spottiswoode, Jeremy Sisto, Isabel Keating, Terry Radigan, John Margolis, Kathena Bryant (of The Hippy Nuts), Tam Lin, Jon Albrink, Tamara Hey and Don Rosler. The CD takes the listener on an eclectic Nino Rota meets Randy Newman & Kurt Weill-like musical theatrical journey: A shy fella who drops a coin into the booth, struggling to send a one-minute audio postcard to his long-distance girlfriend (Rosler performing "Recording Booth"). The euphoric pronouncements of a cocky - or is he delusional? - lad serenading his gal from the Empire State Building Observatory (Spottiswoode singing "You Won't Believe"). A wife who knows her WWII soldier's most recent audio missive by heart ("We'll Have ‘Em All Over") followed by "Give It a Whirl," a carpe diem-fueled tarantella, both performed by Terry Radigan. There's lots of other short stories in song along the way, including the haunting Song-of-Seikilos-inspired ballad, "Where I've Been, What I've Done," performed by Kathena Bryant, accompanied by 2010 Grammy nominated cellist Dave Eggar. The journey ends with Rosler, as Ringleader, singing "Take It Slow," where he is visited by a ghostly reverie of sounds and voices (the Emily Bindiger Choir and the Rosler's Recording Booth Choir). Rosler used Wilcox-Gay Recordios and Voice-o-Graph recordings as a springboard for inspiring the concept. "There was a Voice-o-Graph record I hadn't heard for many years, made by my Grandpa Abe and older brothers Mike and Dave when they were crammed into a recording booth at the Jolly Roger's arcade on Long Island. When I finally heard that Voice-o-Graph of them singing, and then years later a Kitchen Sister's report on NPR called ‘War and Separation,' where they played Recordios exchanged amongst separated lovers and families, I was riveted." Rosler continued, "I wrote these songs with some of the Recordios rolling around in my head. While I didn't let these records dictate all of the characters or themes, they often, along with my ideas for the arrangement landscape, created some intriguing parameters."